The Durban University of Technology through its Centre for Social Entrepreneurship (CSE) hosted its first entrepreneurship pitching workshop which attracted over twenty students selected from a pool of over 300 applicants at the Hotel School on Tuesday, 15 August 2017. 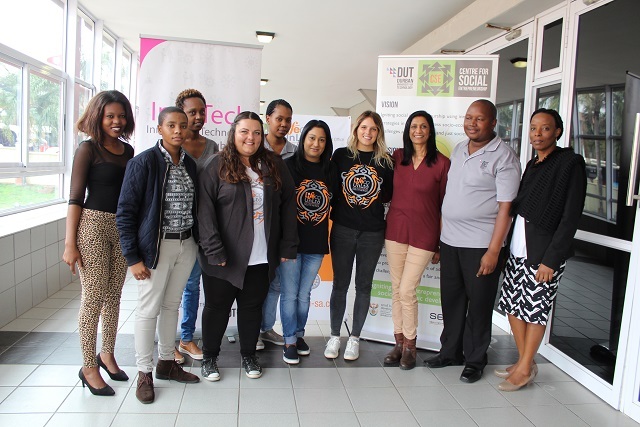 This event was in line with the call from the Department of Higher Education and Training (DHET) to universities to host entrepreneurship events in August. CSE has partnered with different stakeholders within and outside the university community to adhere to the call. Students were given an opportunity to pitch their business ideas within two minutes amongst peer panel members. DUT’s Deputy Vice-Chancellor for Research, Innovation and Engagement, Professor Sibusiso Moyo said there were also some great prizes for the participants to look forward to from DUT and partners who have helped sponsor a range of activities to ensure student entrepreneurs are assisted to incubate their ideas. Some students went through rapid incubation to enable them to start their own businesses and eventually make an impact within their communities. “This was a great opportunity for students to participate and it was interesting to see a broad range of ideas coming from very determined and hardworking youth – not scared of trying, failing and trying again,” said Professor Moyo. According to a Global Entrepreneurship Monitor report of (2013), South Africa is the second worst performing country in the world in entrepreneurship and innovation. Dr Poppet Pillay, Director at CSE said that addressing the issue of entrepreneurship was responding to the high unemployment rate of graduates. She further stated that the main aim was to promote and develop social entrepreneurship amongst students at DUT. “This is the first time we are doing something like this and I hope it will be done annually. We brought everyone together so that we can decide on how we can work as a team with students to develop new and existing business ideas,” she said. After pitching their business ideas, the winning concepts will be selected for a prize worth R85 000 from LifeCo UnLtd to either continue or start-up their business. Other prizes that will be won by students include funding and a mentorship programme sponsored by the Office of the Vice-Chancellor, Invotech, Be Bold Pitch Innovation and CSE. Pictured: Professor Moyo (DVC: Research, Innovation and Engagement) together with the organisers and some of the sponsors.